Preston had an old 40″ rear projection big screen built into a custom entertainment center. After many years of service, it was finally time to upgrade to a full HD video experience. Preston loves sports and we designed a system that would allow him to watch multiple games at the same time. We shoehorned a 46″ mitsubishi LED TV and two 19″ LCD TVs into the space where a single 40″ once lived. 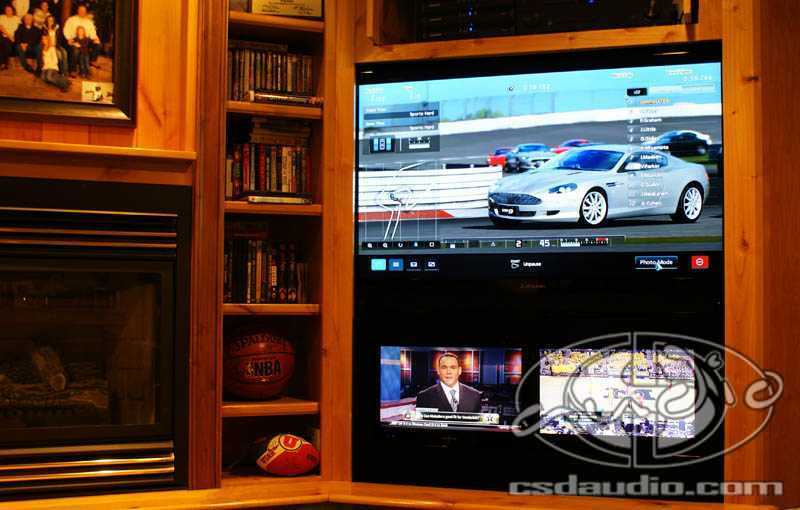 Three different games can be watched at any given time, and should the action from one of the smaller TVs get particulary intense, a single button can be pressed to bring it up on the main screen. Never miss a single second of action with your own SportsZone!